This is a substantial and magnificent grade B listed Georgian House, built early 19th century, with all of its most of its original features retained, this property is being divided into two tasteful and spacious townhouses. The original features, such as the working shutters, are just too numerous to list and must be seen to appreciate just how much of the character has been retained, much work has gone into the restoration of the original features at the same time upgrading the services within the properties e.g., new gas central heating systems, so giving modern luxury alongside a traditional elegance. 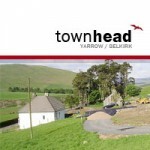 Situated, with easy access off the A708, Selkirk to Moffat road, within the boundary of Yarrow Fues this elevated site has truly excellent uninterupted Southly views across the Yarrow river and to the hills beyond. With an already mature copse of woodland to the West, each of the plots will beneift from detailed tree and native landscaping. 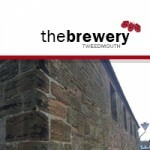 During the Victorian period, Berwick had become a centre of the brewing industry and The Old Brewery in Tweedmouth was at the centre of this booming industry from 1852 until 1937 in full production of not only malted beer but producing mineral waters. With a break from brewing but still involved in the production of malt, this building went back to beer brewing in 1992 until 1994. Edington Mill lies on the banks of the Whiteadder Water, amidst the magnificent rolling countryside of the Scottish Borders. 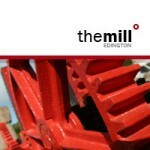 The Mill brings to life 28 innovative homes, nestled in the backdrop of a beautiful and peaceful rural setting.